One of our greatest rewards at SRP is seeing a retirement well lived by one of our clients. While the TV commercials will sometimes tell you a well lived retirement centers around exotic vacations or lavish purchases, for some it is as simple as new-found time with family and friends. That’s exactly the kind of well lived retirement Terry and Jane Wilkerson are living. Allow us to share their story. Terry and Jane both had very busy careers. Terry spent 28 years as a mine manager in the coal industry in addition to serving in the Wyoming National Guard. Jane made a career of working with children of all ages with special needs in their school district, as well as a 13 year stretch of owning a flower shop. When the local mine was sold, the Wilkerson’s saw an opportunity to start spending the time with family and friends they weren’t always afforded earlier in their careers. A move back to Terry’s childhood hometown allowed Terry and Jane to care for Terry’s parents in the later years of life. Another move allowed them to be closer to their children and grandchildren and they can now enjoy being able to share in their many activities. With 6 grandchildren ranging in ages 10 to 21 who are involved in football, basketball, volleyball, baseball, drama, debate, or dancing, the Wilkerson’s are active to say the least! Terry and Jane are also enjoying some individual hobbies. For Terry, it’s hunting, fishing, and spending a little time on the golf course. Jane enjoys quilting, sewing, crochet, cross stitch, or just anything crafty. She’s already finished 3 quilts for the grandchildren and has a goal to make one for each when they graduate. 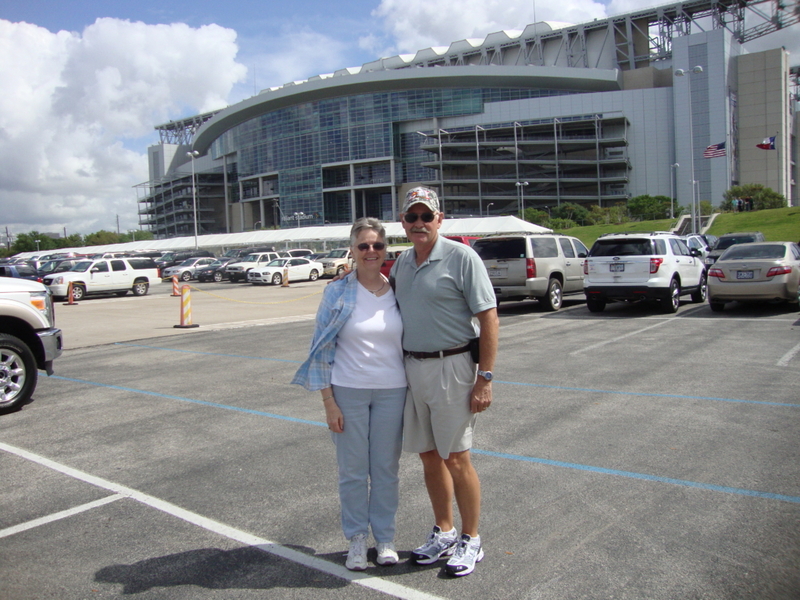 Together, Terry and Jane enjoy serving in their community with volunteer work. You’ll find them serving at their church or the local library as well as volunteering at their gun club or golf course. Finally, retirement has allowed time for Terry and Jane to simply enjoy being together. They will celebrate their 50th wedding anniversary this August and they are loving being able to catch up on time with each other that might have been missed during the days of a busy career. Thank you, Terry and Jane, for sharing your retirement story and for the privilege of allowing our team at SRP to be a part of it. Here’s to many more years together and a continuing this well lived retirement!